Hey all! Time to unveil my latest project! Like any Level Designer, I have many started projects, but not very many have ever made it all the way to completion. Anyway, I was browsing through all of my old UT3 Level files, when I came upon one little gem of a layout; all of the basic brush-work was done, and most of the surfaces already had materials applied. It did not take much imagination to see where I could take it visually, and a few rounds with bots allowed me to discern that the layout was already quite fun. This gave me the idea, of revisiting old concepts and layouts that I never had the time to finish. I would only work on the most promising ones, and after an evening of comparing various BSP shells, I have settled on 2 or 3 that I think will provide the greatest reward for the least amount of time. What you see below, is the product of a mornings work on one of the most promising layouts that I found. Click here, or on any of the below images, to see more pictures, and jump straight to my site. I am calling the map Despot, which is short for “Despotism”. 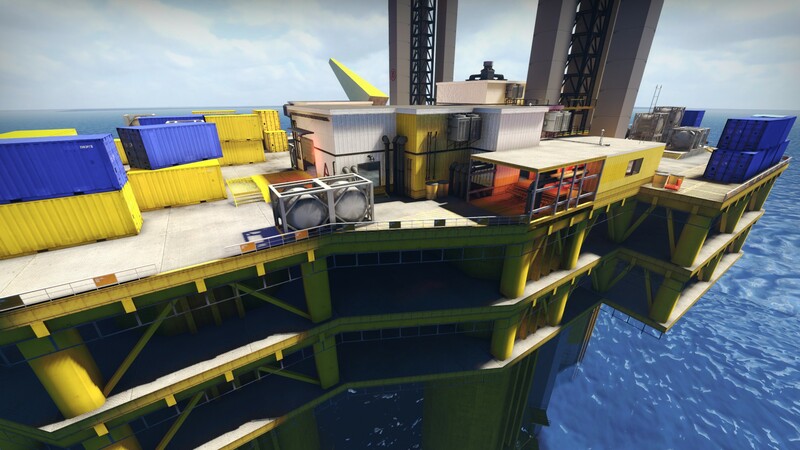 As you may already be able to tell, the map takes place in the slums area of a futuristic city. A futuristic city in which the gleaming homes of the privileged exist atop great skyscrapers, and look down upon those less fortunate than themselves with disgust. The contrast between warm natural light, which struggles to reach so far down, and cold, artificial lanterns that light up the alleyways. I also plan on having many dynamic elements, such as spaceships that fly between the skyscrapers, fans, hanging cables and wires, sparks, fog and smoke. These dynamic elements are what I believe will set this level apart from other Designs. I will try to keep everyone updated, Feedback is very welcome. holiestcows: That neon yellow is bad. You can do bright colors but that is really hard on the eyes. 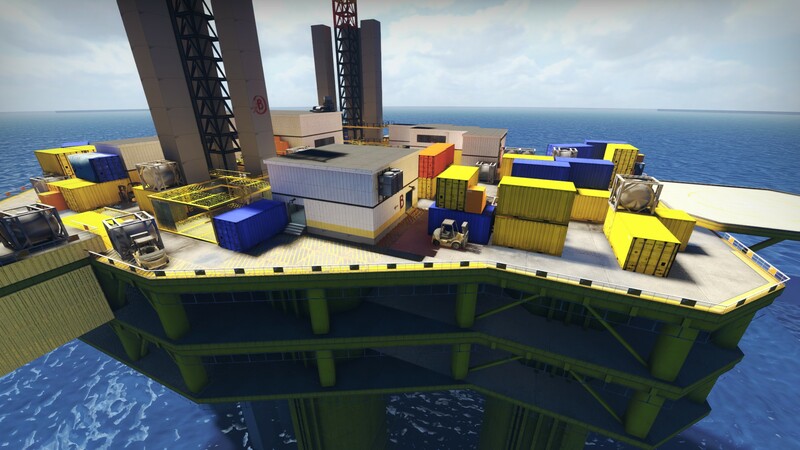 Love it, finally a CS:GO map that doesn't look like CS I love the colors but you could try a neutral color pm the containers so they are not on your face so much. The water could also use some love! Hey, thanks a lot! I'll bear in mind what you said about the textures in mind. And yes, the map is going to have many, many dynamic elements, I am contemplating even having dynamic weather. On the contrary to all of these vertical elements being distracting, they will be designed to draw players eyes upwards, and hopefully, towards the upper levels of the arena. The map will have many Z-axis battles, and hopefully by having eye catching elements above the player, I will be able to persuade them to not only look at the floor in front of them. Yup, im liking the vibrant colours. Should be easier to pick out player characters from the background. This. Maybe red or orange? Yeah make the crates red and tone down the yellow. It's blowing my eyeballs out the back of my head. Dont listen to them, keep them blue!!! Yeah I don't plan to put any red in there, blue is already the primary contrast, otherwise it's going to look like mcdonalds up in there! I'd like to get some more orange elements in there, but much more subtle and not as in your face. Will you color-code the bombsites Holiestcows? Probably not, but their location is unique enough right now. 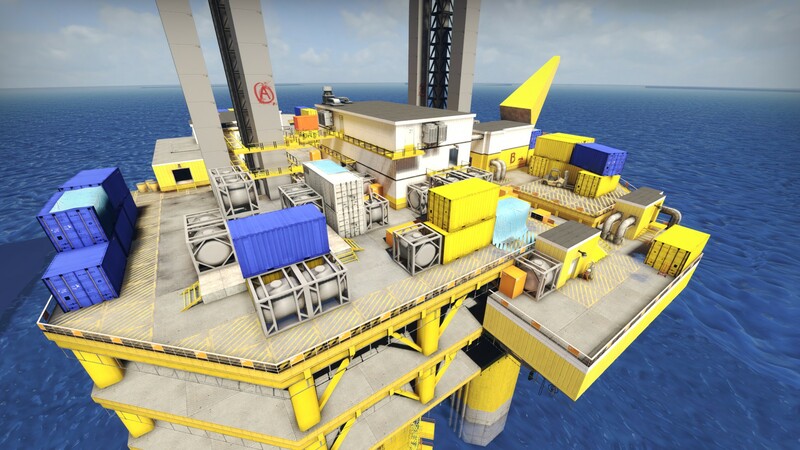 One is inside a building, and the other is on the main drill platform.